The number of warehouses and medium size factories has increased with strong economic growth over the past few years. With this growth, the demand for practical powered trolleys has also grown to aid in ergonomics and efficiency. 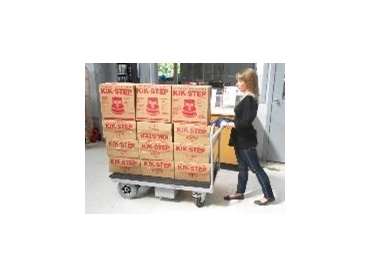 Powered Pushmate from Warehousing Equipment (Warequip) offers a practical and reliable solution to the problem of moving products over distances. The Powered Pushmate drive system allows the 500kg flat base to shift cartons and any other heavy items for up to 8km per shift. The easy charge system allows the unit to be charged at any power point within the factory, office or warehouse. The ergonomic controls, handle and rubber deck makes the Powered Pushmate suitable for manual handling in the workplace.